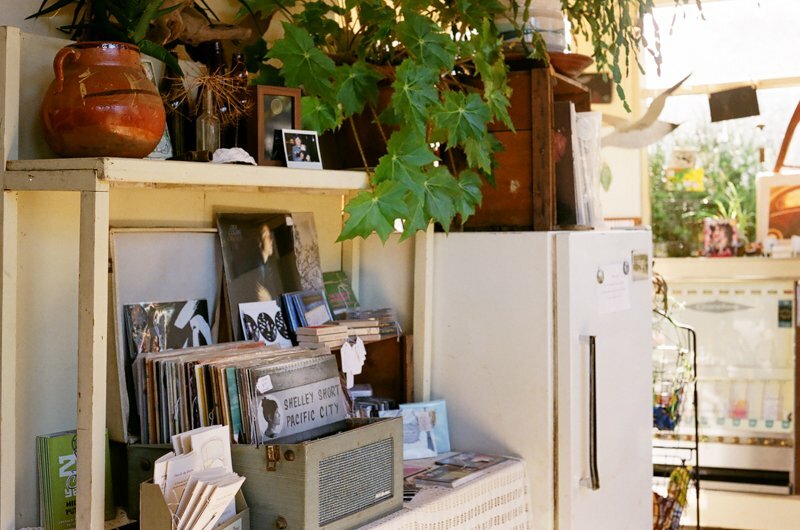 The lodge wrap-around porch is stocked with food, drinks, handmade goods, and sundries. All items are available 24/7 (except for alcohol) on the honor system. If you’re purchasing items, you can pay with cash (drop it in the money slot) or start a tab and settle up when you check out. 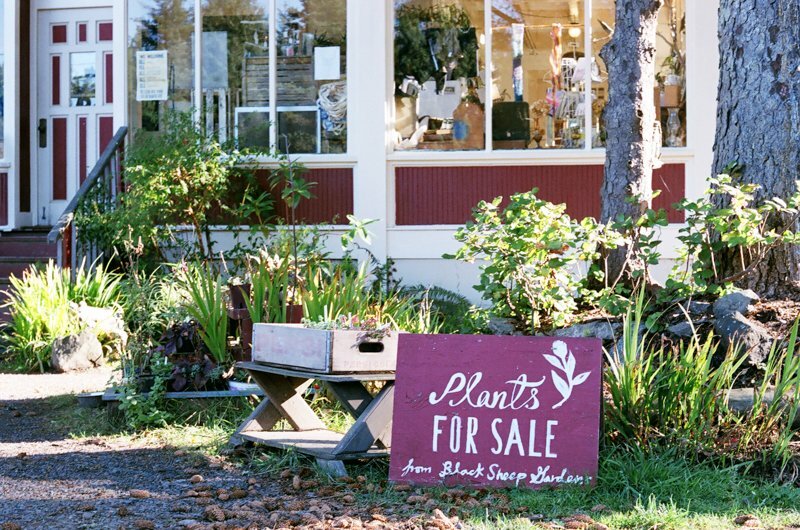 We also sell locally grown native plants just outside the porch during the spring and summer. 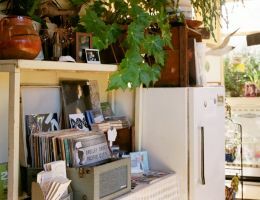 If you’re borrowing books, records, games or VHS to enjoy during your stay, we just ask that you bring them back when you are done. 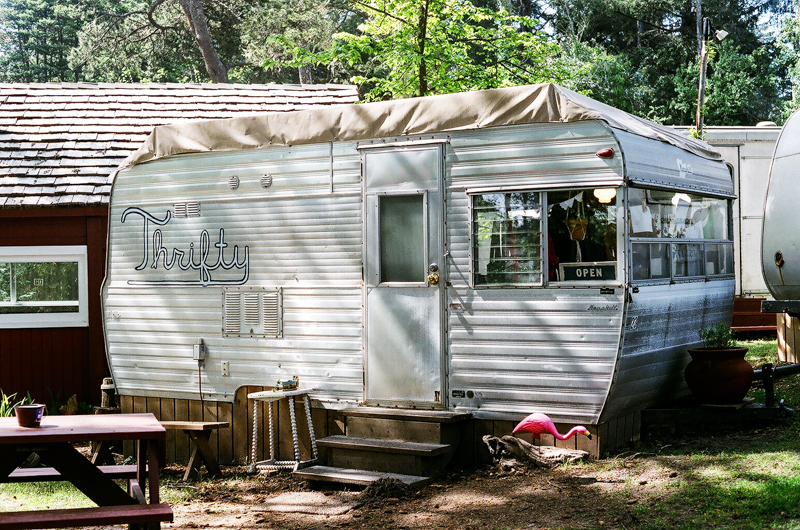 It’s just what you’d expect from us… a vintage store in a vintage trailer. The Thrifty is a true gem. 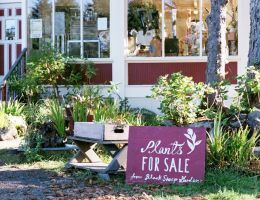 All items are super moderately priced. Forgot something? The Thrifty usually has you covered. The Garden Spa & Finnish Sauna is open to guests on a first come, first serve basis. It has a beautifully renovated and heated indoor changing room with a private shower. 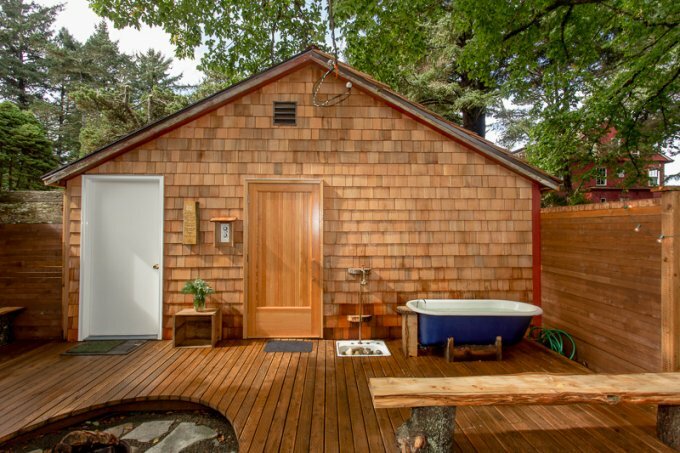 It also has an outdoor cold-plunge bath and shower. 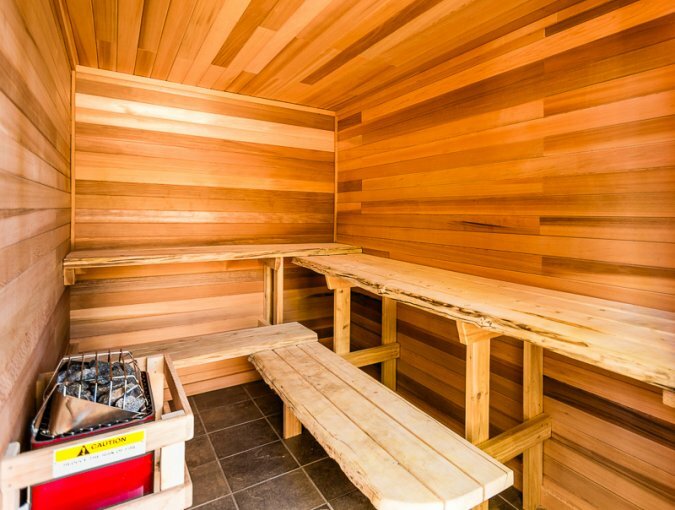 The sauna is built out of the highest quality clear western cedar and hand milled Port Orford Cedar benches. Check out a key and two towels at the front desk. 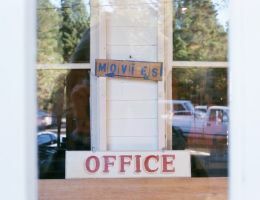 The Art Trailer Gallery, a 1960’s Aloha, was rescued from a neglected RV park and transformed into a bright and beautiful space to reflect a traditional gallery. Sou’wester Arts 501c3 curates quarterly exhibitions. For information on past, current, and upcoming exhibitions, visit our Art Gallery Trailer page. The outdoor kitchen is open to all guests. 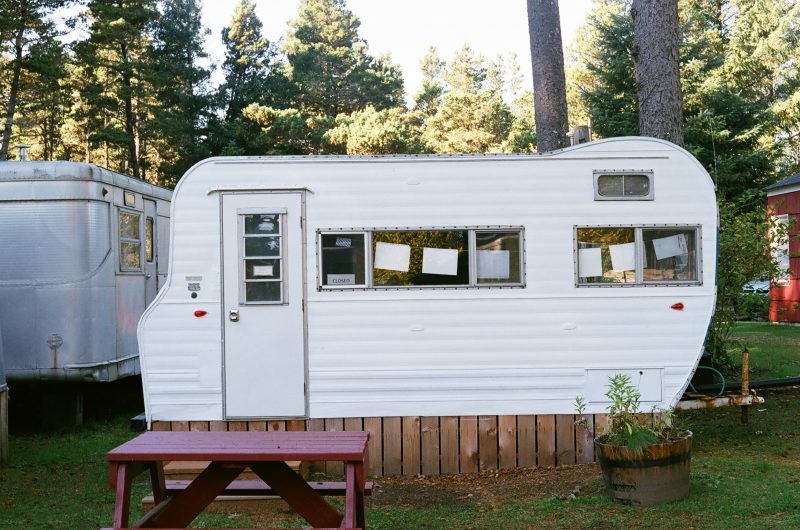 It has a gas stovetop/oven, a microwave, toaster, a sink with hot water and a collections of pots, pans, dishes and silverware. 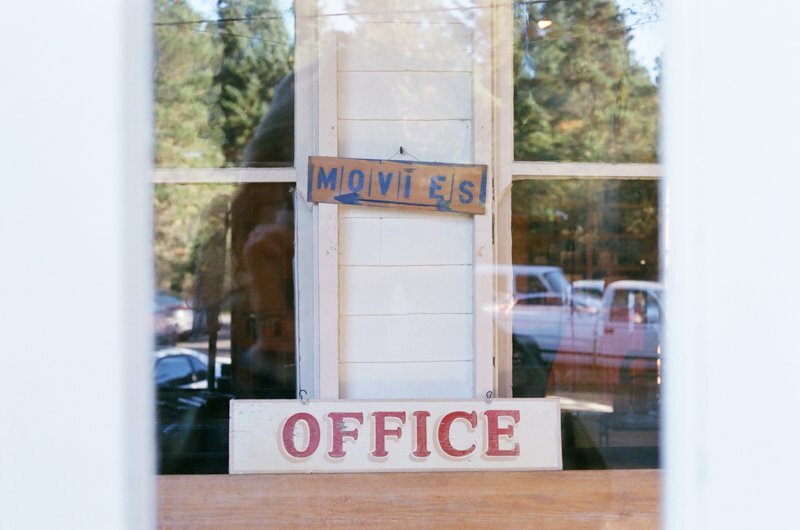 It’s great for guests staying in our more rustic accommodations. Our fish-cleaning station is next door and is best for all seafood preparations (thanks!). 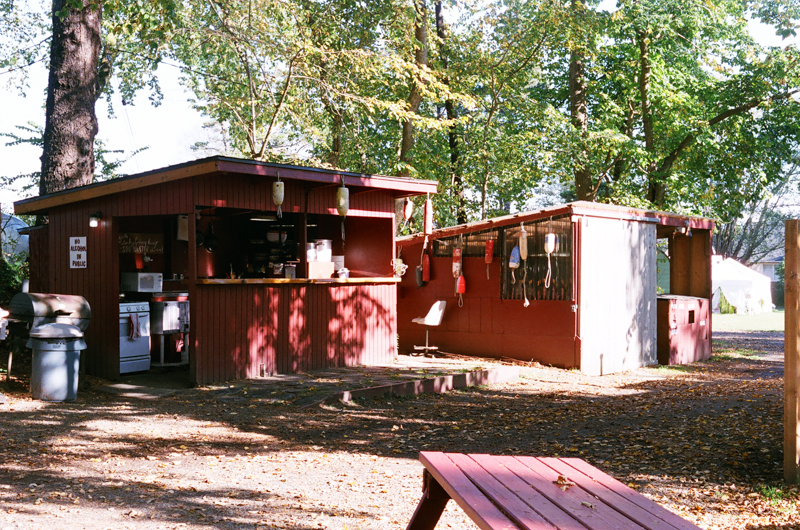 Our Pavilion has always been a gathering place for guests and is now fully enclosed and heated! 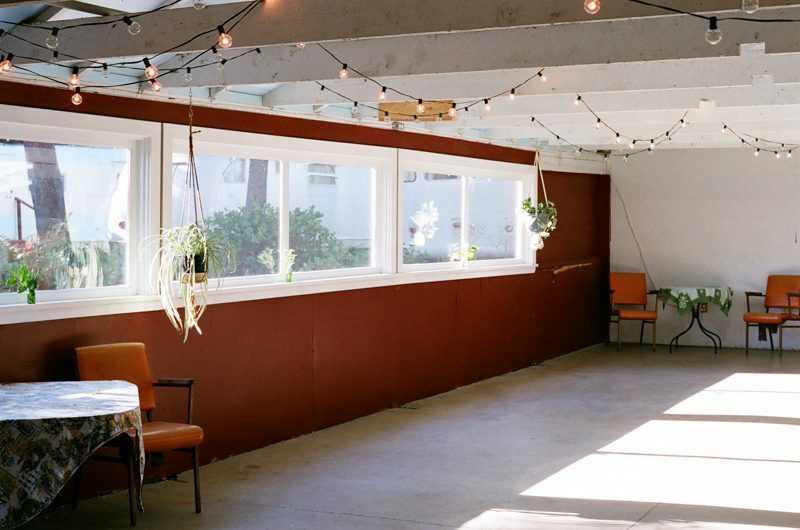 We host art workshops, musical performances, and yoga classes inside. The Pavilion is also available for private gatherings. Want to have a private event?